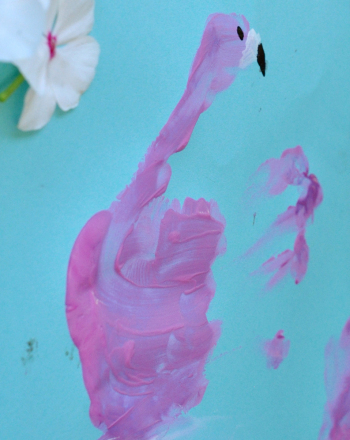 If you’re tired of seeing little handprints all over the walls, put them to better use with this cute, bird-themed craft! Everyone remembers the year 2 “hand turkey” project every year at Thanksgiving — why not try your “hand” year-round at blue herons, ostriches or flamingos? Find some pictures for inspiration. There are many wildlife photos archived online — National Geographic’s wildlife photos are particularly good and often show the animals in their natural habitats. Print out or bookmark the photos so you can come back to them. Fill a paper plate with pink paint (for a flamingo), blue and gray (for a heron), and a combination of brown, gray and white (for an ostrich). 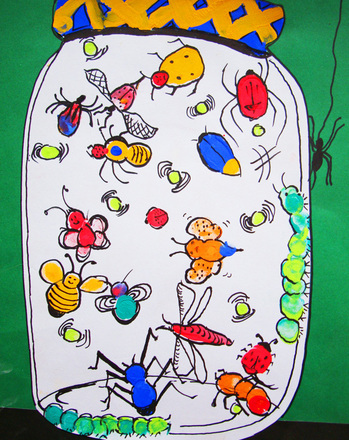 Gently press your child’s hands into the paint, and then onto a clean piece of paper. This will serve as the body for your bird. You can elongate a thumbprint to make your bird a long neck, or simply use the thumbprint as it is for the bird’s head, as though the bird is looking backward over its shoulder. To extend your thumbprint to make a long neck, paint it into an S-shaped curve — herons, ostriches and flamingos are known for their long necks. Draw in a beak and legs. You may want to refer to your reference photos for this step. You can differentiate your heron by adding a long, dagger-like bill, your ostrich by adding distinctive tail feathers, and your flamingo by its one-legged stance. Add googly eyes, yarn, sequins, etc., to decorate your bird. Have your child sign his or her name and date to it so you can preserve their little handprints as a cute keepsake craft. Want to extend the learning? 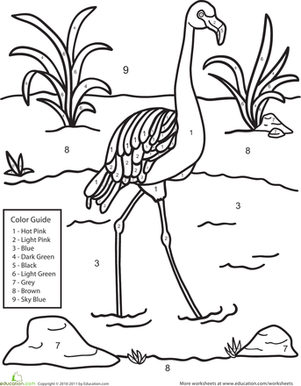 Have your child do some research on bird environments and paint in appropriate backgrounds — an ostrich in the African desert, for instance, or a blue heron on the lakefront. Kids who aren’t afraid of getting a little dirty could add fun, realistic backdrops by gluing twigs, leaves and sand to their masterpieces. 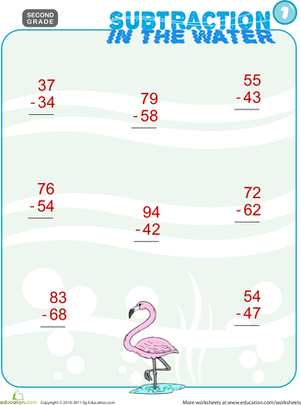 With this detailed flamingo colour by Number sheet, not only do kids get practise recognizing colors, they also practise identifying different colour shades. 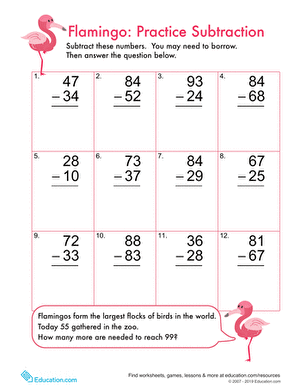 Get your second grader to practise subtraction alongside a pretty pink flamingo!